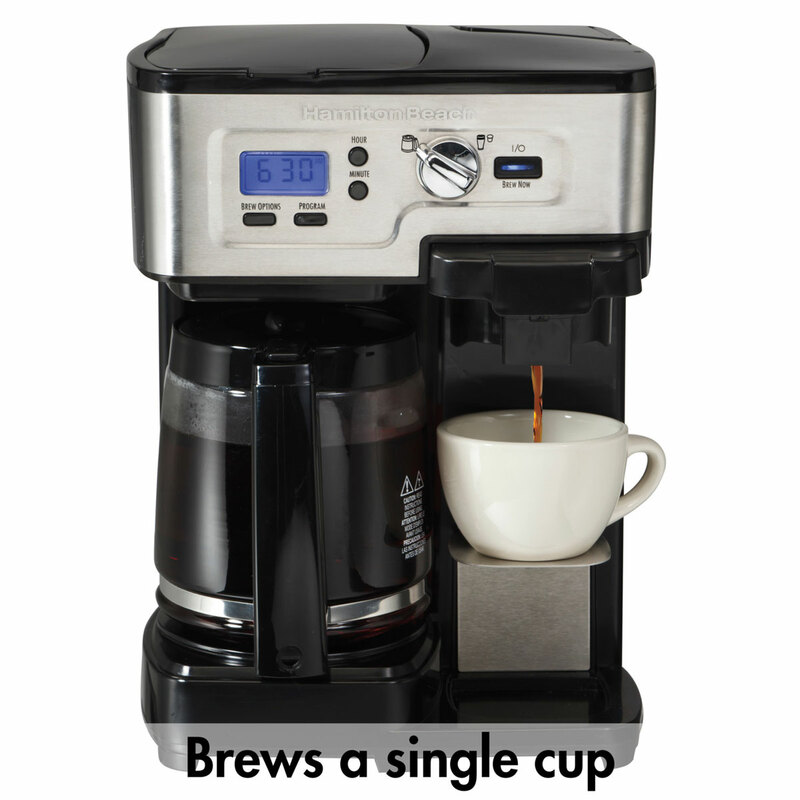 **Travel mug is not included. 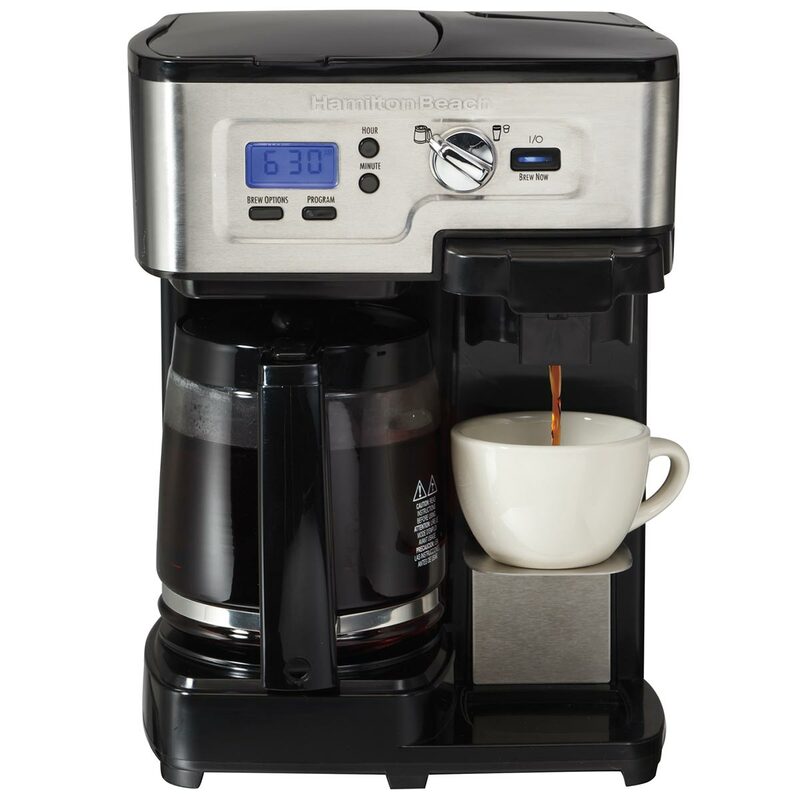 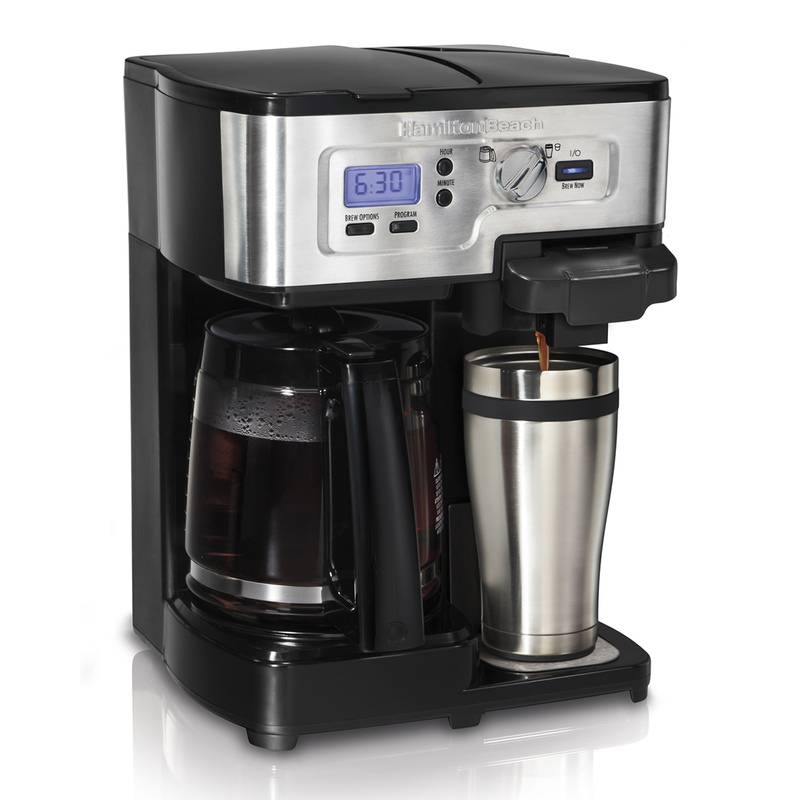 The 2-Way FlexBrew® Coffee Maker maximizes your brewing flexibility and offers more brewing options than most coffeemakers. 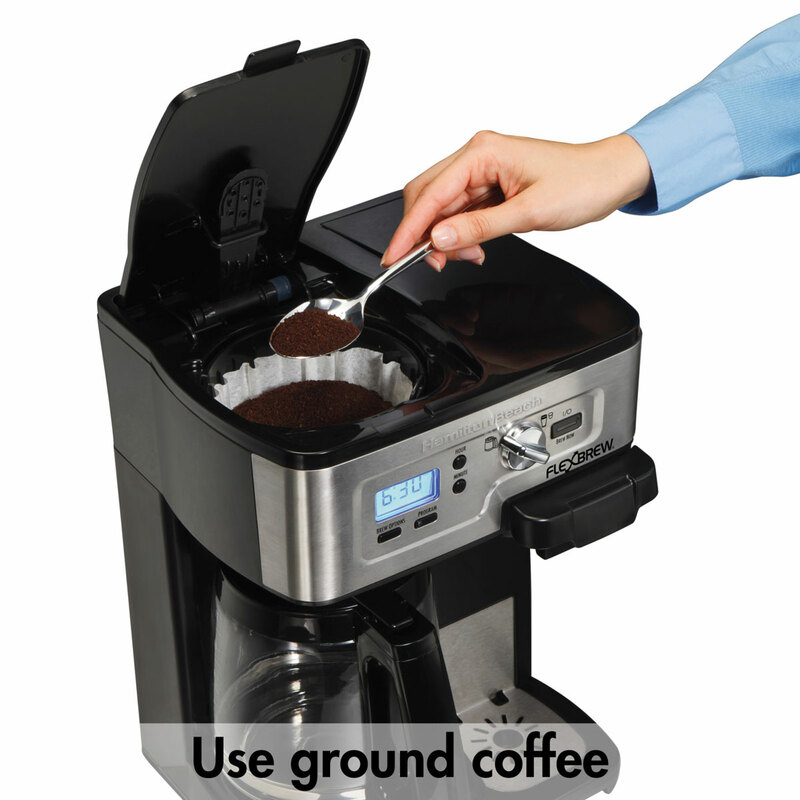 To start your day, you can use the single-serve side to brew into a standard-size cup or brew up to a 14 oz. 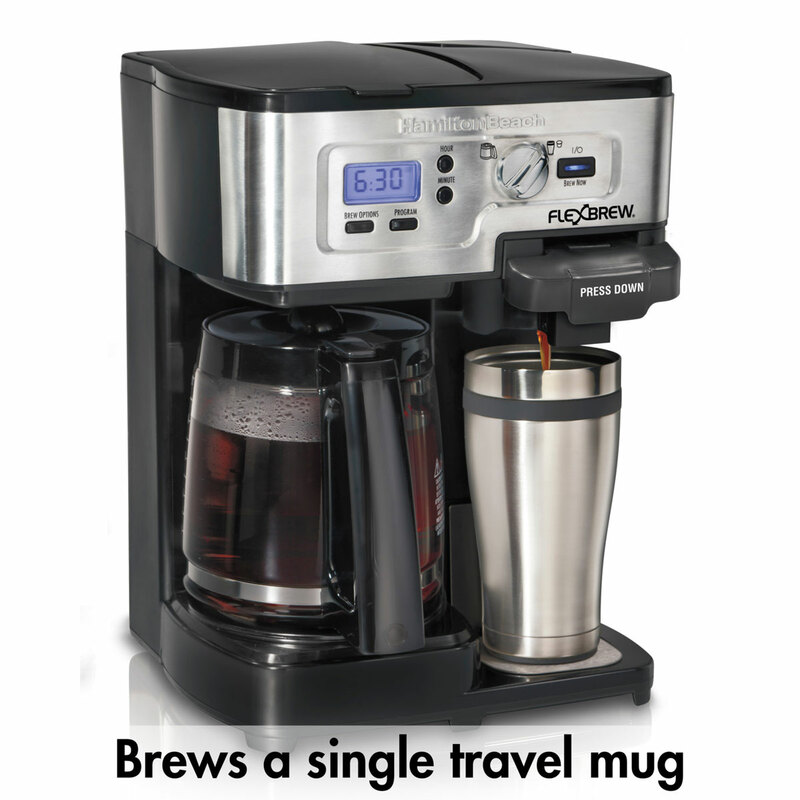 travel mug. 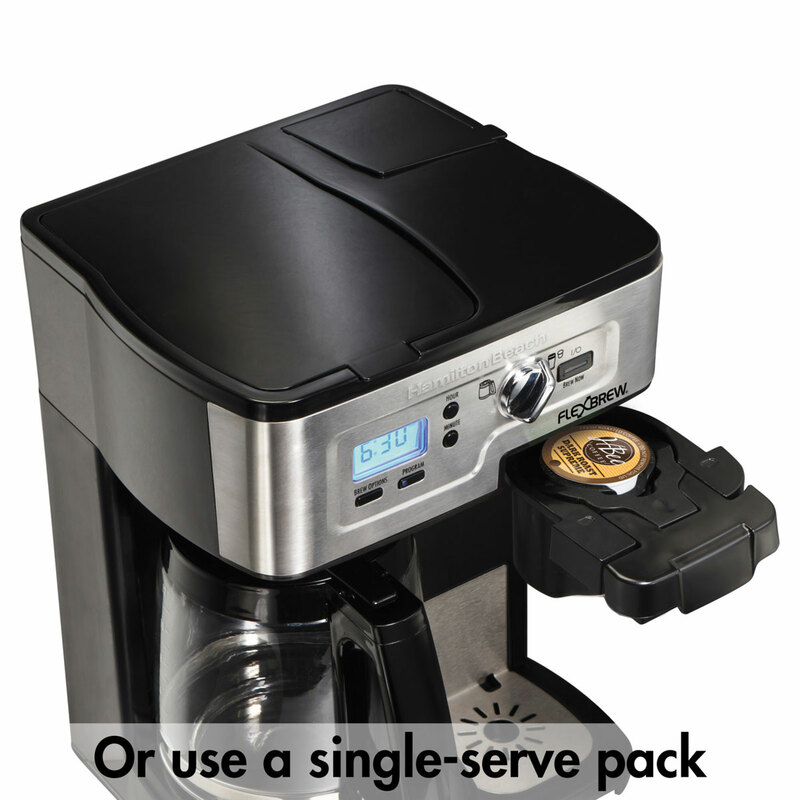 What’s more, you have the choice of brewing with a single-serve pack or your favorite ground coffee. 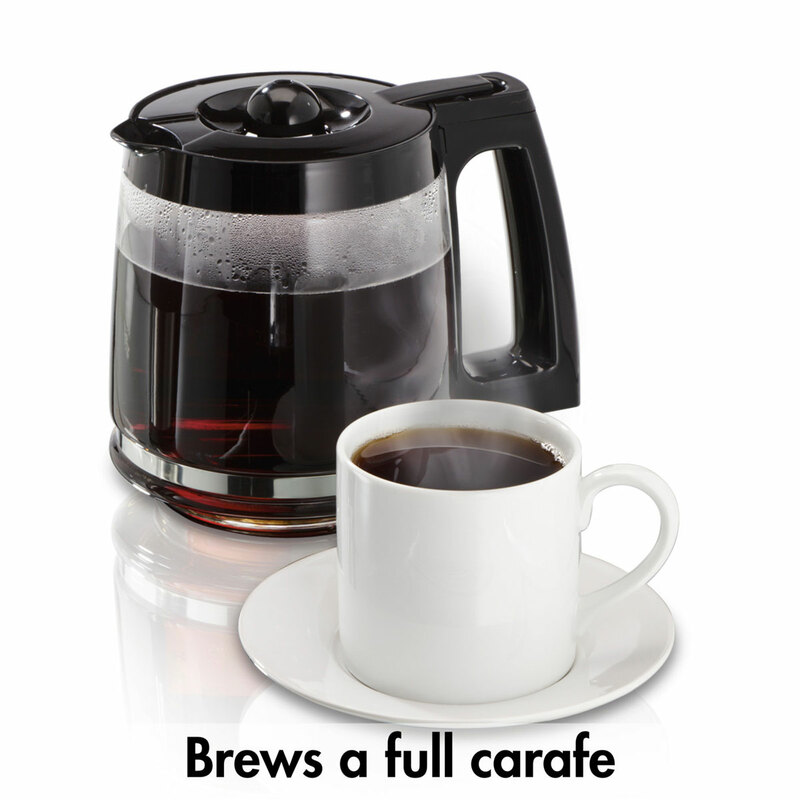 On mornings when you want to enjoy cup after cup, or when you’re entertaining, the carafe side makes a full 12-cup pot. 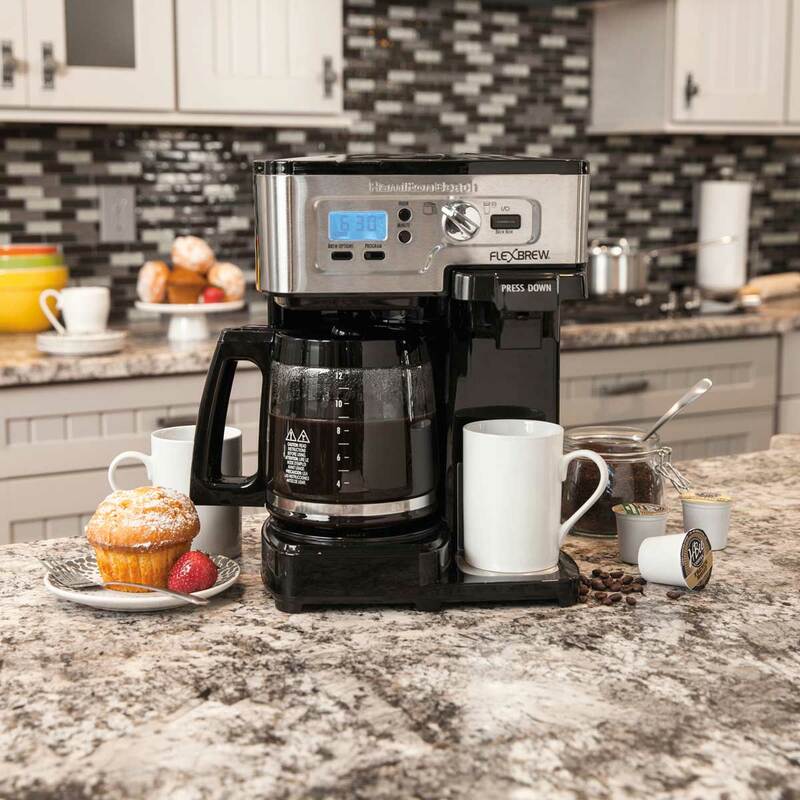 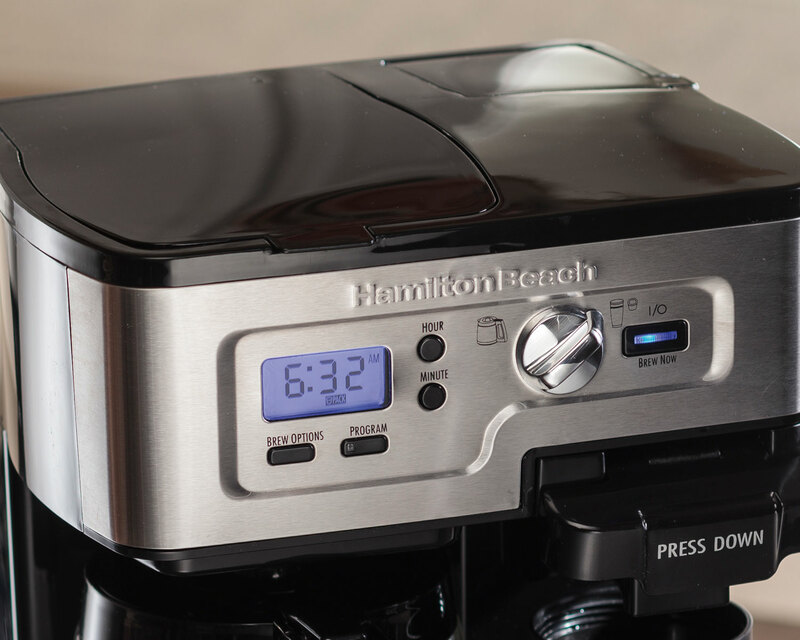 So much in so little space, the 2-Way FlexBrew® Coffeemaker provides maximum flexibility for your coffee drinking enjoyment.